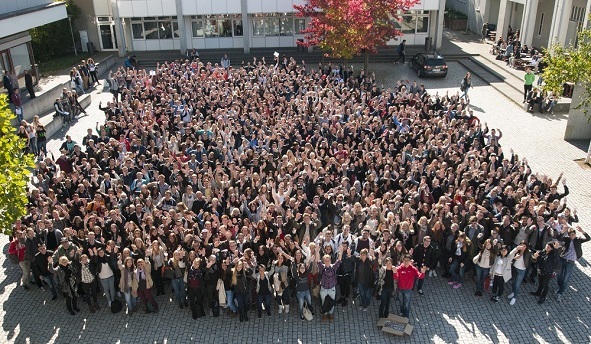 As a graduate of Pforzheim Business School, you are part of a unique, lifelong community that spans the globe. In the alumni network you can stay in touch with your fellow graduates and professors. The dialogue with our graduates is an important part of our networking activities and the further development of the offer of the Business School Pforzheim – that is how we define active alumni work! The relationships students build with fellow students, lecturers and employees of Pforzheim University should not end with the graduation. They should strengthen in the coming years and throughout the career. The alumni network is a perfect starting point for the mutual exchange and driving force for your continuous further development. All students who successfully completed their studies will be automatically contacted. By joining the alumni network, your data is stored in the Business School's alumni if they choose. All our graduates receive our regular e-newsletter as well as invitations to reunions and events. Stay in touch to hear about news, events and opportunities or browse through the Newsletter Archives.